Global History of Buddhism & Medicine. A study of Buddhism and medicine "from Sarnath to Silicone Valley." This project consists of two anthologies of translations from across Asia, and a monograph synthesizing the global history of the relationship between Buddhism and healing. My main argument is that medicine is central to the religion of Buddhism, and, conversely, that Buddhism has been an important vehicle for transnational exchange of medicine globally. The first volume, Buddhism and Medicine: An Anthology of Premodern Sources came out in 2017 with Columbia University Press, with subsequent volumes to be published by 2020. 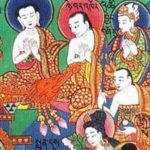 Buddhist Medicine in Medieval East Asia. Also grounded in historical methods, this project primarily focuses on medieval China, but has recently expanded to consider neighboring cultures as well. So far, I have produced a book Translating Buddhist Medicine in Medieval China (Univ Pennsylvania Press, 2014) and multiple academic articles. An edited volume and a second monograph are planned that explore various facets of the reception, translation, and transformation of Indian medicine in East Asia. Encounters in Buddhist Healing. This is an ongoing ethnographic project on Buddhism and healing in contemporary practice, based on the observation of Buddhist healers in Thailand, Korea, and the USA over the past two decades. The current focus is documenting Buddhist healing in the Greater Philadelphia area, using undergraduate research assistants to conduct questionnaires, interviews, and audio-visual recordings. See the Jivaka Project website for a series of short documentary films and data from this project. The past few years have witnessed the meteoric rise of the “Mindfulness Revolution” in mainstream popular media, and the enthusiasm for the study of the health benefits of meditation in American scientific circles is steadily increasing. While growing in sophistication, the literature focusing on mindfulness has tended to overlook the fact that there are many connections between Buddhism and wellbeing that go far beyond mindfulness (and beyond meditation more generally), both historically and today. My research investigates the rich spectrum of therapeutic repertoires and resources that Buddhism has made available to its devotees in history and today — beyond the headlines and social media buzzwords associated with mindfulness. In virtually all periods and locations, Buddhism has provided individuals with intellectual tools to frame and understand illness, has shaped health-seeking behaviors in conscious and unconscious ways, and has offered a range of popular therapies and institutional structures for delivering healthcare. 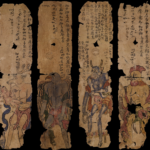 These have been adapted and elaborated across virtually all of Asia, and have often specifically played a major role in the popularization of the religion in new recipient cultures. Placing our contemporary interests in the benefits of meditation in this wider global context helps us to better appreciate the rich diversity of practical tools for mental and physical healing made available by Buddhism, and contextualizes contemporary developments within a historical framework that does not privilege the modern or Western vantage point. At various points in my career, I have studied the relationship between Buddhism and healing in a number of different contexts, including medieval China, modern Thailand, and the contemporary Americas. Building on my interdisciplinary academic background, my work integrates methodologies from history of medicine, religious studies, translation studies, literary studies, and anthropology, among other disciplines. My investigation of the nexus of transnational transmission and local dynamics of reception is driven not by commitment to a specific disciplinary method, but rather by a series of interlocking questions that are inherently interdisciplinary: What are Buddhism’s doctrinal teachings about health and wellbeing, and how are these transformed by processes of crosscultural translation? 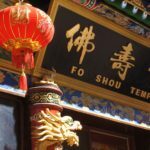 How has Buddhism been presented as a healing modality in distinct locations and time periods, and who forwards such positions? How do key institutions, social networks, and transnational flows of information between them influence the implementation of these ideas and practices? How do local and international political and economic interests shape their reception over the long term? My research on these questions also engages with theoretical matters of interest to the humanities and social sciences more broadly, such as how to model the interactions between cultures, how to understand texts that are products of multiple layers of literary and cultural translation, and how to think about the categories of “religion” and “medicine” in crosscultural context.